Gaspar Miklós Tamás – is a Hungarian Marxist philosopher and public intellectual. Trained as a philosopher and the author of numerous scholarly books and articles, his is a life that has been intimately bound up with the political history of the twentieth and twenty-first centuries. Born in Cluj, Romania, he presently lives in Budapest. From 1986 to 1988, he studied at Oxford University and taught in the U.S., the U.K. and France. From 1989 to 1994, he served in the Hungarian Parliament as an MP for the Alliance of Free Democrats (SZDSZ) and in recent years he has returned to Marxism. He is a regular contributor to the Times Literary Supplement and to many Hungarian dailies. 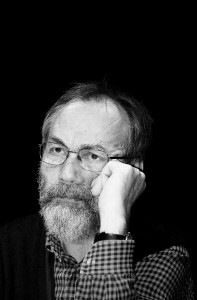 His books include A teória esélyei: Esszék, bírálatok [The Prospects for Theory: Essays and Reviews] (1975), Másvilág: Politikai esszék [Another World: Political Essays] (1994), Törzsi fogalmak [Tribal Concepts] (1999), and, together with Gerold Wallner, Kommunismus nach 1989: Beiträge zu Klassentheorie, Realsozialismus und Osteuropa [Communism after 1989: Essays on Class Theory, Real Socialism and Eastern Europe] (2015).